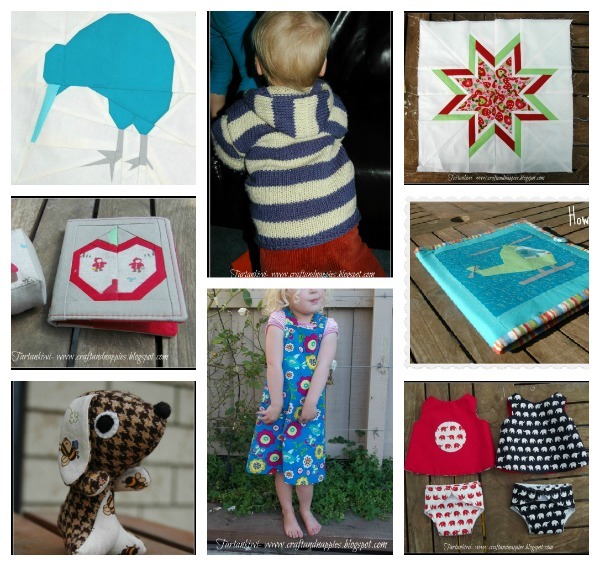 The Tartankiwi: Sew Mama Sew Giveaway Day! I've had this Good Morning charm pack tucked away for a rainy day and have decided that today is the day to part with it. My name is Juliet. I love sewing of all kinds. I love experimenting. I love trying new things. I make mistakes, but I try to learn from them and I share my mistakes so that you can learn from them too. I try my hand at knitting, baking and every so often tales of my children find there way onto my blog. I am a newbie quilter, a sewer of clothes for my children, a maker of bags and all kinds of other things. I have dabbled in pattern designing and enjoy writing tutorials. I'd love it if you stick around and play! Now, for the important part. If you'd like to win the charm pack and a few other wee random goodies that I will throw in then all you need to do is leave a comment, it can be about anything but I'd love it if you make a suggestions as to what you think I should try sewing next or what you would like me to (try and) come up with a tutorial for. Open to everyone wherever you live! I will do my best to contact the winner (no-reply bloggers please leave an email address) but if I haven't heard back from the winner after a week, a new winner will be chosen. Your paper piecing is amazing! Hmm, I get the impression that you mainly sew clothes for your kids. How about you sew something for yourself, a nice skirt, maybe? I think you should keep on with your paper piecing, it looks great! How about making a wall hanging with some of your blocks? love those colours. Personally I think you should make some more clothes for yourself - but I would say that wouldn't I?? I just learned how to paper piece and I LOVE it. I will definitely check out your kiwi pattern. So cute! I'm going to start following and would love to see more paper piecing patterns/tutorials. I love your blog. . . so I say just keep doing what you're doing! Thanks for the give away, the charm pack looks lovely! I would just love to see you do more paper piecing patterns...they are so fun! Thanks for the giveaway! Anything for kids is always fun and inspiring. I'm not sure what you should sew next, but I know that I'm going to use your doll nappy tutorial for my daughter's xmas! i'd love to whip up a small play quilt for my daughters with this pack! you've done some really cute things already! you might want to try doing strip quilting; it's easy to do a larger project quickly this way! have you seen the 'handmade home' and 'sew liberated: growing up' books? i've gotten a lot of inspiration from books such as these. 'rhythm of the family' (i think that is the title) and so on. How about a bag tutorial? I'm really inexperienced with those and am always looking for tips. I really enjoy your paper piecing patterns. I finally want to make a quilt to keep for myself! Thanks! Nice to meet you! Wow, I stand in awe of your work... those doll outfits with the diapers are amazing! As for your next project... I don't know, I'm still gazing adoringly at the stuff you've already made! How about something cute for little boys? Good grief, you've already tried so many things (waaay more than I have!) that I don't know what to suggest. So I'll just echo a few of the comments above - something for you!! I don't know if I'm missing something, but as you are so good at paper piecing, how about a quilt! 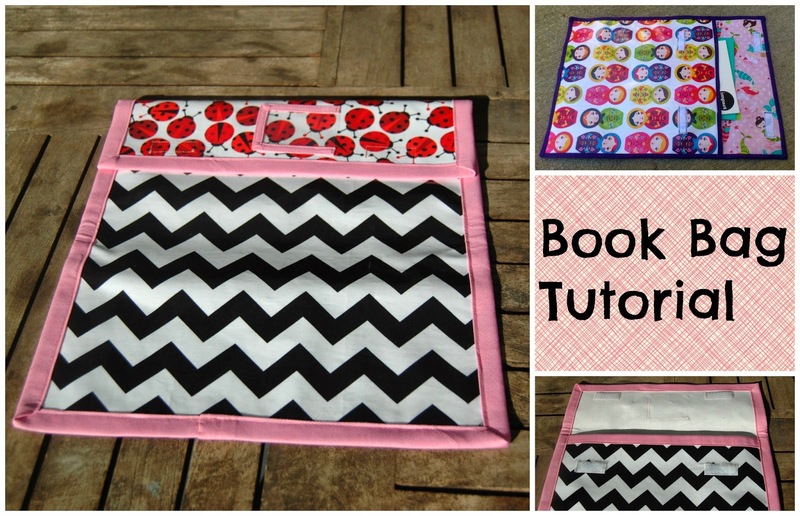 try an i-spy quilt - the kids will love it! Very nice of you, I would love to win. sorry no sugestions. I don't know what you should try next, but I do know my oldest is getting a sewing case from your tutorial for her birthday! I agree that a quilt or wall hanging with some of your amazing paper piecing would be fun to me, though. I whish you and your family a merry merry christmas ! Ohhh a bag tutorial would be awesome! gorgeous charm pack, how about a nice bag ? I love charm packs! They are perfect for making puff quilts. Maybe something you might want try? I love this charm pack! I think you should try flying to my house and teaching me paper piecing, but if not, maybe doll clothing tutes? More baby doll clothes would be great. Thanks for hosting this giveaway! Thanks for the chance to win, Juliet. I'm keen to try paper piecing and have loved the ones you've done, so maybe more of those. You should do whatever you feel inspired to do. Thanks for the opportunity to win. Thanks for the giveaway! I love all the paper-piecing you do! i'm always a fan of pouches! How about more patterns for paper pieced animals? Oooh, I do love goodies! Particularly fabric goodies! I'm looking forward to making my first dress for my daughter - peter pan collar, simple bodice, pockets on the skirt. I just bought some cute white embroidered trim for the bottom of the skirt today - exciting! I love to do a lot of crafting, but am slowly getting up the courage to start on clothes - you have inspired me! Love the paper piecing. I haven't tried that yet, but it's on my list. I love seeing bags, maybe an easy one and then a more complex one? Ooh I keep eyeing off this fabric line but haven't yet indulged and bought it yet! Thanks for the giveaway J! I spent 6 months in Wellington, I miss it and would go back tomorrow if I could, I just finished a quilt with NZ fabric I got when I was there!!!!! thanks for the giveaway! I'm new at all those things too. But, it is exciting to see what you can make when you try. I think you should try making different kinds of bags, totes, pouches...that kind of thing. Thanks for the chance at your giveaway. The things you have tried are lovely - wonderful blog! I have been trying curtains and finding them challenging - if you need any that might be a good place to experiment. No pressure - how about a NZ inspired christmas coloured table runner - no snowy things seeing as we gave a summer christmas. Have just discovered your blog, thnaks for the chance. New clothes for yourself is a great idea! :) I always like seeing what people sew for themselves. I don't know what to suggest, sorry. Thanks for the giveaway! love your blog!! and the clothes... cute!!!! Thanks for the giveaway! It would be fun to make a tutorial on a kid's plush toy. I am going with the crowd - paper piecing. It is on my "Must Learn" list for 2013. I love your color placement on your Lone Starburst block, too. Thanks for the giveaway and the chance to win! Love the cute bird that I believe you paper pieced! Maybe a bird on a pillowcase? Great christmaspresent! Its so nice to stumble upon new blogs especially from those relatively close by. I'll enjoy looking over some of your past projects an entries. This morning I saw a pattern for a nine patch modern wedding ring block that a 5" charm pack would be perfect for. The colour scheme of this charm pack would fit the bill perfectly. Thanks for the chance to win. Lovely pieced work! Have you done a family of kiwis on a shopping bag? Or hedgehogs, for that matter...I'm a hedgehog fan, but not talented enough to create a pattern for one...lol! I think place-mats are a wonderful thing to make...nice to see your work every time you sit down to eat! I love your paper piecing, it is amazing! Love that little doggie! Too cute! Paper piecing is always fun. I love finding new patterns. Charm packs always lend themselves to HSTs or QSTs in my mind. Quick and easy. Thanks for the chance to win. Hope you have a very Merry Christmas! Hmmm..how about making a dress for yourself? Really like your blog so now I'm a new follower! Thanks for the chance to win! What a lovely giveaway. Thank you. wow, you've made some awesome things! i just recently fell in love with making kid's coats. i think you should try that next! I really like your paper piecing. I would like to see a sewing machine cover. Love what you've done! Thanks for the great giveaway! I really like baby and wall quilts! I love the paper piecing! I'm hoping to finally learn paper piecing soon! I love your style! Enjoy your sewing - but enjoy those little children more! You can sew MORE later. They are only little for a little while. Thanks for the giveaway. 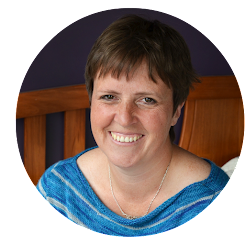 great blog, welcome to the fab world of sewing. You can use the charm packs for cute baby quilts! The moda site has many examples. I think I'd use the charmpack for a baby quilt for a friend. I love stuffed animals and see you have a photo of one there. would love a tut on something like that. Would love to have this fabric! Have you made any mug rugs? I am very impressed with that paper pieced kiwi-- wow! Do you ever sew short-sleeved button-up shirts for your son? I have a 3-year-old who loves to wear them in summer (because they are so light and cool) and have been wanting to make him some, but am scared because I haven't done much apparel sewing yet! My brother and his wife are coming to New Zealand from the UK on Thursday! Lovely giveaway, thank you! I'm not sure what you could sew but another paper piecing pattern would always be fun. I am sewing doll diapers and love that your tutorial has sizing info. Doll quilts next? Hmmm sewing anything is fun... But as well as quilts, I love making pillows! Quick and gratifying. wow i m new to all this . thanks for the give away. love ur paper piecing. i never did it and sure would like to learn. working on my 6th quilt this year and would love to start number 17. Thank you so much and Happy Quilting. Are you sure that you haven't been sewing very long? It looks like you've been at it for years! cloths for yourself...I am just trying that and it is hard, but rewarding. Your paper piecing is fantastic! I still haven't learned it, but I hope to this year. Thank you for the giveaway! What lovely projects you've made. I don't even know about suggestions right now, my head is spinning over the generousity of everyone today. I think your paper pieceing is great and I would love to see more about how you do it. Thanks for such a great giveaway. Just checked out your sewing case tutorial, which looks great - how about one for a matching needlebook? I've just discovered your blog, it's amazing! I am always on the lookout for handmade gifts for men, so if you could come up with something that fits the bill that would be great! I love charm packs - just as they are as 5" squares or cut into 4- 2.5" squares for Granny Square blocks. They are quite versatile aren't they? Great giveaway! Fingers crossed! I'm a crafter myself and I just can't think of what to make that men might be interested in. If you can think of a tutorial for anything I think a lot of us would be interested! Thanks for the giveaway! You might enjoy improvisational piecing. Thanks for chance to win the giveaway. I think it should be something for yourself - take the time to do something for you!! I am so impressed with your Kiwi block - it is amazing. Thanks for the give away. How about making a bag with your own special twist? I plan on following the sewing case tutorial - great idea to keep organized and for travel. Thanks for the chance to win the charm pack. I am always a sucker for a new bag design. I love new looks and new pocket ideas. Your paper piecing work is fantastic! What about a tutorial for a baby doll carrier? Thanks for the chance - I think you should make a little gift for yourself - something that has been on your "to make" list that you just keep putting off! I am really enjoying blog posts on a persons review of a sewing pattern. You might venture in that direction with your blog posts. I love all this blog hopping, so glad I found you. I have to investigate some more, before I could make any suggestions. I look forward to checking you out. How about making a lap quilt just for you? I think that you should do a paper pieced item with a baby owl theme! I would appreciate a pillow (as I would have to sew it! )- but I am sure you could do something more complex. You have a lovely blog! thanks for the giveaway! You make such lovely things - particularly inspired by your doll dog - so cute. Thanks for a lovely giveaway. That little dog is so cute. More on kids stuff would be interesting...anyway I love your paper piecing projects! I love paper piecing. How about a tutorial on how you go about making a pattern for paper piecing. Thanks for the chance. I'd love to see you make a quilt with a variety of your paper pieced blocks! They are fabulous! Thanks so much for the wonderful giveaway! I love your paper pieced blocks! I would love to see more of those. Could you draft a ladybug pattern? Could you create a doll, complete with blanket and diaper bag for little girls. Thanks for the giveaway opportunity. I'd like to see how you do the binding, like at the art folder. I am always a fan of suggesting a hexagon project. A bag with lots of paper piecing! Thanks for the chance! I think you should make a car or truck bag/tote. I made one for a little boy who was carting his toys around in his big sister's purse. He just loves his truck bag. I love paper piecing, even if it is a potentially longer process. And the kiwi is adorable! I think you should make something with hexies. They are lots of fun. Thanks for the giveaway! I'm in love with your great work of paper piecing, congrats! Thank yo for the giveaway! Have you tried making a sun hat for your little darling? The kiwi is lovely. I'd like to suggest a tutorial for oven mitts but I'm not sure whether you are into this kind of sewing, too. I wish I had an idea for me, but I could use some ideas just for my self. Thanks for the chance to win. Maybe a nice handbag for you! I love making bags and purses, so I`m always looking for new patterns. Thanks for the chance to win some fun fabric! Thanks for the opportunity to win. I love your paper piecing. Merry Christmas.. I will have to come back and see your PP, I just picked up EPP and love love it. Love your choice for the giveaway. Have you tried modeling clay? I am in the mood to create quilts but I am up to new things. I'd like to see a tutorial on making a denim purse. I have been wanting to learn how to sew hexigons so a tutorial on that would be great. Your paper piecing is gorgeous! Your paper pieing looks cool. Thanks for the chance to win. My first thought was paper piecing, but you obviously have more than mastered that LOL. I am starting a "One block Wonder" quilt and I think it is pretty neat. Maybe you would like it too. I wish I could tell you something. Instead I'm amazed at the great tutorials you and others do come up with, things I never even think of. I learn so much from your great blogs. Thanks. I hope you are safe and well following the wild weather in NZ. I love a good sew along or quilt along - perhaps one of those? Your tutorials are great. Thanks for the rainy day sharing/giveaway! I love children's patterns. So any ideas for gifts or toys or clothes for children I would love to see. Love your paper pieced Kiwi! Thanks for a great giveaway~! Your paper piecing is beautiful. thanks for the giveaway. Loving the kiwi!! Have never paper pieced before.. you are inspiring me! I would love a doll carrier tutorial! Thank you for the giveaway! You should sew things for me. ajhtejpal at gmail dot com thanks for your giveaway! i love that blue bird!!! maybe some suggestions on what do do w/charm packs? thanks. Have you ever tried sewing up hexies? I'm currently (slowly) working on a batch - easy to do on road trips or while watching TV! Thanks for chance to win. I like making rag quilts. Definitely make something just for you! I love to make bags so any tutorials for them is great! Your paper pieced pattern is great--I'd love to see more of those. Sew something you never thought you would want to or could sew. It will create skills you didn't know you had. Great prize. Thanks for the opportunity on the draw. Merry Christmas to you. I'm going to start teachers' quilts right after the beginning of the year.